Reliant Bank, a subsidiary of Commerce Union Bancshares, Inc., announced today that Kim York has joined the Bank as executive vice president, chief strategy officer. Reliant Bank, a subsidiary of Commerce Union Bancshares, Inc., announced today that Kim York has joined the Bank as executive vice president, chief strategy officer. York was most recently senior vice president and chief marketing officer at Ascend Federal Credit Union. In her new role as chief strategy officer for Reliant, York will oversee the creation and implementation of innovative strategic initiatives that advance the organization's growth opportunities. Working alongside the executive leadership team, she will partner with key stakeholders to develop and prioritize strategies and help determine the appropriate resources needed to effectively position Reliant in the marketplace. 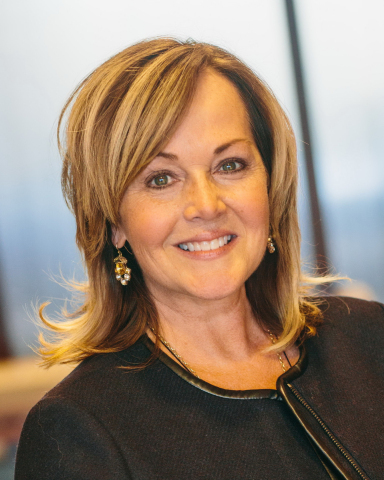 Commenting on the announcement, DeVan Ard, CEO of Reliant Bank and President of the Company, said, "Kim York is a skilled professional within the financial services industry. She is respected for her strategic insight and aptitude for working directly with marketers and strategic partners to create, transform and reimagine a brand. We are thrilled to have Kim's leadership at Reliant for this important mission." At Ascend, York was a driving force for change. As the organizational leader for their strategic planning efforts, she identified and secured key partnerships as avenues of growth, developed resource strategies to improve employee culture, and guided the brand's voice to build awareness and relevance among target audiences. Among her accomplishments, York was the 2016 winner of the National Association of Federal Credit Union's prestigious Professional of the Year Award. She also secured the naming rights of Nashville's newest entertainment venue - Ascend Amphitheater - during her tenure at Ascend. "Technology and customer needs are rapidly shifting," continued Ard. "Kim has the experience to help drive the strategic shifts at Reliant to ensure we are competitive for years to come." Said York, "One of the things that attracted me to Reliant was their emphasis on cultural excellence - recognizing and understanding the bank's brand internally, then systematically projecting it outward to differentiate itself and secure effective growth. I have been immersed in the credit union philosophy of 'people helping people' and believe it is easily transferable to Reliant Bank's mission of providing high-touch banking support to its customers."